Warmer months are approaching, and Wine Awesomeness is here with flavorful rosé from Secret Identity. Great for any outdoor setting, Secret Identity Rosé satisfies your craving for a light, refreshing wine all summer long. Save 30% on a six-pack now, just $75. Secret Identity Rosé started in 2011 and is inspired from the romato wines of North-Eastern Italy. Rather than showcasing a single grape, Secret Identity focuses on the perfect balance of fruit and freshness, providing a crisp and aromatic drink. It pairs well with numerous summertime treats and is an ideal relaxing beverage for picnics, grilling, and the beach. 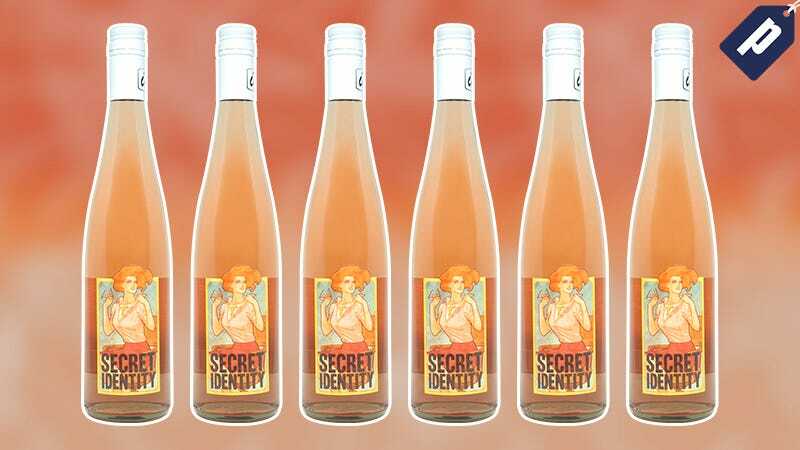 Typically priced at $18/bottle, you can pick up a six-pack of Secret Identity Rosé from Wine Awesomeness for just $75. So ensure your summer is stocked with great tasting wine, save 30% and grab a six-pack of Secret Identity Rosé from Wine Awesomeness, just $75.